Table made from parts of a found Christmas tree, with an abstract shaped top, showing the tree's rings, and four legs. Recycled Christmas tree found on a street in London in January 2011. The top is band sawn and the legs are machine carved. 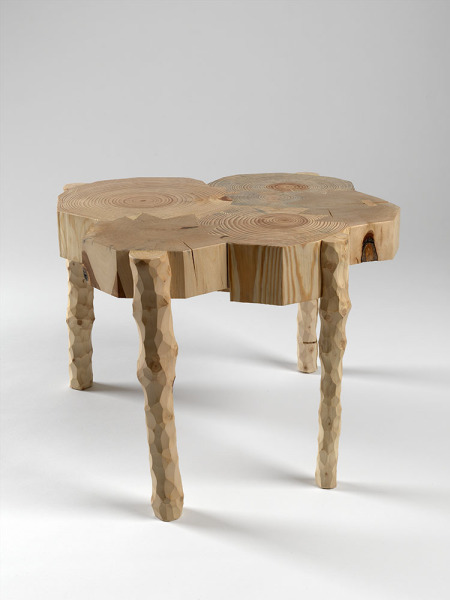 Low Table (from Christmas Tree Project), Fabien Cappello, 2011 Crafts Council Collection: W163. Photo: Todd-White Art Photography.